Enjoy getting lost in NYC’s only corn maze! The adventure begins with a stalk talk to prepare you for the 3-acre challenge of finding clues, solving puzzles and making your way out of this interactive maze. Feel up to the challenge? 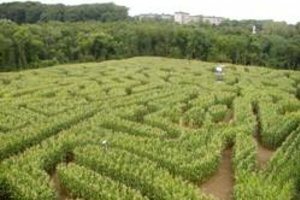 A visit to the Amazing Maize Maze is must-see NYC!